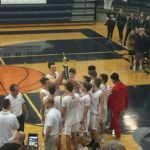 Marquette, MI – December 1, 2018 – The Marquette Redmen Boys’ Basketball team were coming off of a gripping overtime win last night against the Brighton Bulldogs at the Petoskey Invitational. 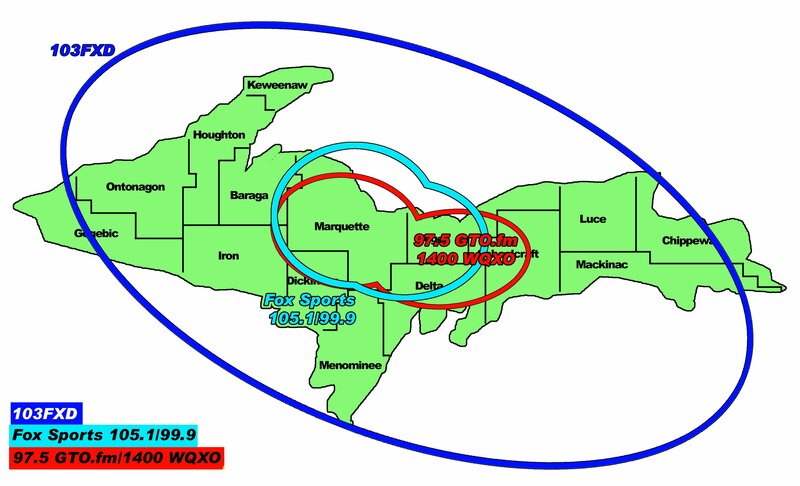 They took on the Petoskey Northmen this afternoon on Fox Sports Marquette 105.1-99.9. The Redmen were on fire in the opening quarter, outscoring the Northmen 8-0 with just 2:20 left on the clock. Marquette’s Marius Grazulis, John Thomson, and Bryce Brazeau were our leading scorers, Grazulis with eight points to himself. Time ran out in the first quarter with the Northmen yet to appear on the scoreboard. Marquette led Petoskey 14-0. The Redmen drive up the court. The second quarter looked almost as dominant as the first. 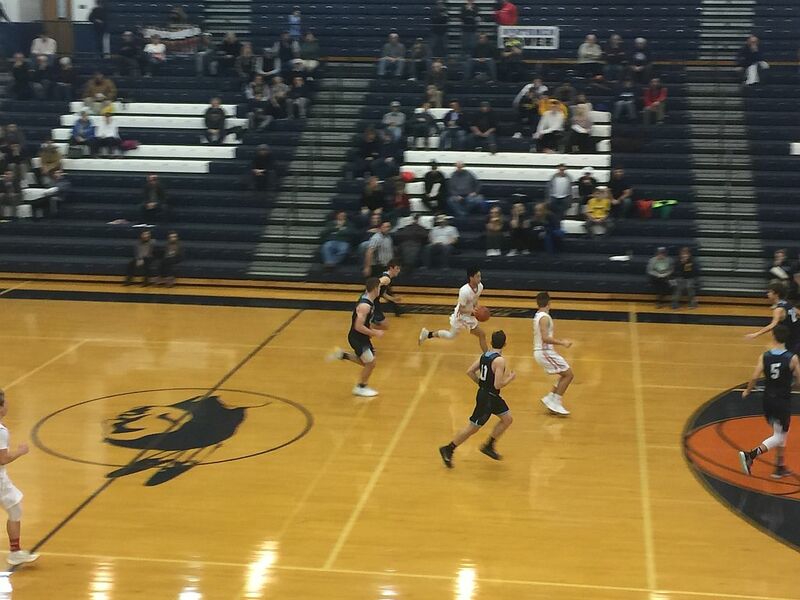 Petoskey put a few points up on the scoreboard, but Marquette was 22-4 with just three minutes gone in the quarter. 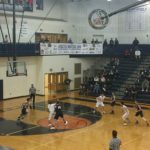 The Northmen squeezed in a few more baskets, but Marquette continued their scoring surge to widen their lead. The Redmen waltzed into half-time with a score of 32-10 over Petoskey. 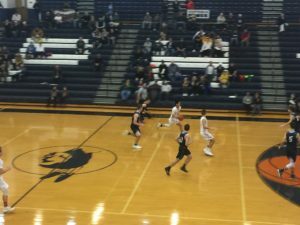 Petoskey had a much stronger showing in the third quarter to put some pressure on the Redmen. 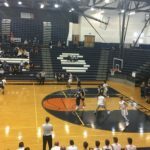 Marquette was still in the lead going into the fourth quarter, however, with a score of 39-23. 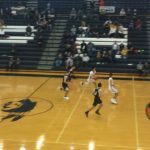 The Redmen won handily over the Petoskey Northmen. The start of the final quarter saw the Redmen back in dominant form. 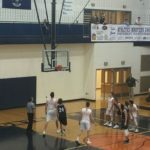 Grazulis sunk a couple of free throws at the start, and the Northmen struggled to improve their side of the scoreboard. 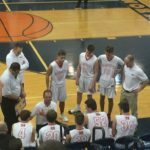 Then Ethan Martysz scored his third three-pointer of the game with less than two minutes on the clock to help the Redmen on their way to victory. And victory is indeed what the Redmen achieved. 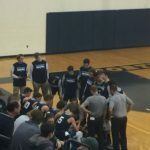 Marquette not only defeated the Northmen with a final score of 53-31, but were the overall winners of the Petoskey Invitational. Marius Grazulis was named the MVP of the tournament. 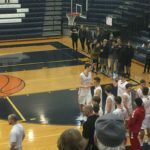 Grazulis was the top scorer for the Redmen with 19 points, and Ethan Martysz followed close behind with 17 points in the game. 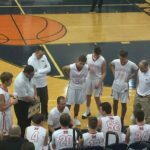 The Marquette Redmen Boys’ Basketball team will be in Green Bay against the Green Bay Preble Hornets on Tuesday, December 4th. 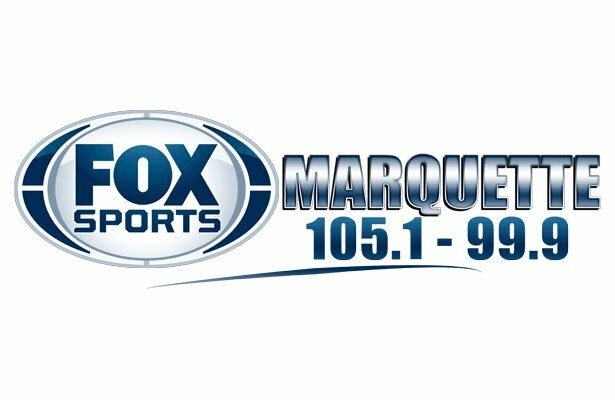 Pregame starts at 7:00 pm and tip off is at 7:30 pm on Fox Sports Marquette 105.1-99.9. The Redmen huddled up as they took on the Petoskey Northmen. The Redmen strategize against the Petoskey Northmen. 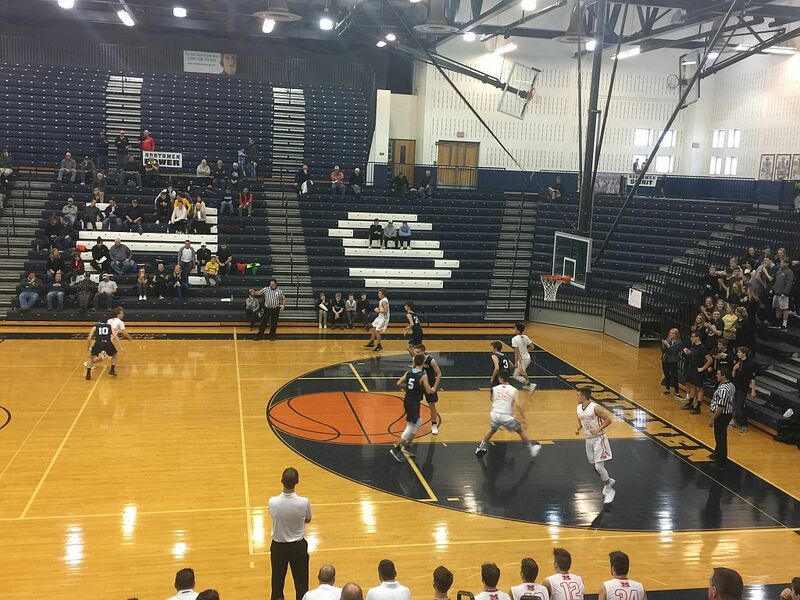 The Redmen took on the Petoskey Northmen at the Petoskey Invitational. 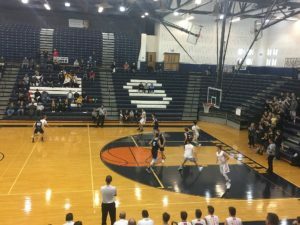 The Northmen at the free throw line. Marius Grazulis took home the MVP honor. 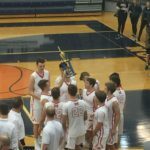 The Marquette Redmen defeated the Petoskey Northmen to win the tournament. 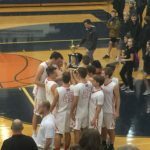 The Redmen hoist the Petoskey Invitational trophy. 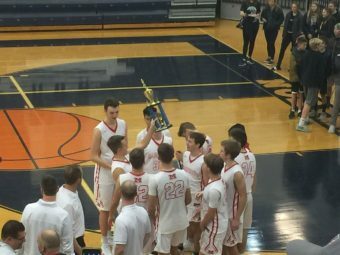 The Marquette Redmen Boys’ Basketball team won the Petoskey Invitational.